Today I have a mishmash of tidbits. This hadn’t been an exciting day but one filled with lots of interesting information. On the move again. Luggage out by 6:30 a.m. Buffet breakfast at 7:00 and on the bus by 8:00 a.m. Another wet day pressing the windshield wipers into service. Swish-swish. Francis, our guide, read a poem: http://www.linda-ellis.com/the-dash-the-dash-poem-by-linda-ellis-.html. Check it out. Maybe you’ll enjoy it, too. A couple from our group shared a strange incident from the night before. One of them had flipped through the TV channels for something entertaining. A particular station clicked, the air conditioner snapped on. Clicked again, and it turned off. They wondered what else might be off. A moose will challenge anything in its way. We passed a moose killed on the road the previous night, but I didn’t see it, and we couldn’t slow down even though others asked. A short stop at Little Harbour, which has one street. In June and July, there are icebergs here, but not during out visit. The weather windy, nippy and overcast, we strolled down the one short street and took pictures of root cellars, the rocky shore and the few houses. Houses along the one road. Not a car passed us. Old root cellar. Painted door in good repair, it must still be in use..
Newfoundland only place you’ll find Pineapple Crush. Everyone else knows Orange Crush. During the 12 days of Christmas, 25 to 30 people could knock on someone’s door. They’d be invited inside, given a piece of chocolate cake, and a drink for adults. Everyone tried to identify each other. The visitors performed plays, sang, played instruments, danced, and had a good time. This old tradition is now enjoyed only at Hallowe’en. Thank you for reading and commenting. I appreciate your kind support. Categories: Christmas, Halloween, holidays, lifestyle, Newfoundland, traffic, travel, vacation | Permalink. Morag’s eyes rounded. “No way, José.” She moistened her lips and took a shallow breath. She stroked the fabric, then threw on the dress. It flowed over her curves and puddled at her inelegant feet. Tiny rhinestones scattered over the skirt and bodice shimmered in the lamplight. “It’s revealing…” Morag’s eyes glowed. 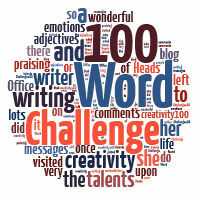 Categories: 100-Word Challenge, come fly with me, Halloween, lifestyle, party | Tags: masked, witch | Permalink.